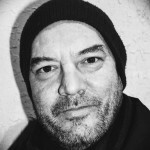 Stephane Gauger is a writer-director based in Los Angeles. He made his feature debut with the award-winning Vietnam-set drama Owl and the Sparrow (2007), which earned him both Gotham and Independent Spirit Award nominations, and followed it up with the urban drama Saigon Electric (2011). 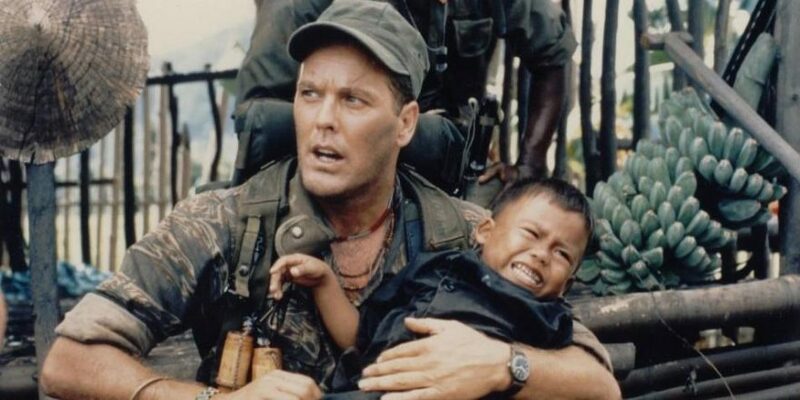 He also directed the 2008 documentary Vietnam Overtures and co-wrote Powder Blue, a 2009 feature starring Jessica Biel, Eddie Redmayne and Forest Whitaker. He was named one of Filmmaker magazine’s “25 New Faces of Independent Film” in 2007. Making a film is hard. Making a film guerrilla-style is tougher. Guerrilla filmmaking is characterized by no budgets, skeleton crews and shooting quickly — and without permission — in real locations. Most indie filmmakers have done it with varying degrees of success. I’m a multi-hyphenate who shoots, directs, produces and edits, a skill set that’s given me the experience to set up a scene and frame it very quickly. You have to be fearless. You have to be stealth. Having shot guerilla-style in Vietnam and Los Angeles, I was anxious to try and capture the spirit of François Truffaut by running and gunning on the streets of Paris. I’ve been going to Paris to visit family since my teens, and naturally developed a love for French cinema from going to the many cinematheques in the city. One of my favorite French classics was Jean-Jacques Beiniex’s 1981 film, Diva, part of the vibrant “Cinéma du look” movement. The movie totally mesmerized me with its solitary characters and a long moped chase sequence in the Paris Métro. The other two seminal French films of that period which influenced me were Leos Carax’s Les Amants du Pont Neuf and Matthieu Kassovitz’s La Haine, both passionate and unique stories set in the City of Light. After writing and directing two features in Saigon, Vietnam, I was ready for a new tableau and decided to make a film in France. I started to write a screenplay about young Sorbonne graduates separated by class and a tough economy, but a massive third-act writer’s block kept me from finishing the draft. A couple months ago, as I was flying off to France for six weeks to work on a documentary I’m making about Vincent Van Gogh, I realized I could squeeze a short film into my schedule. So I plucked 10 pages from the unfinished Sorbonne feature script and allocated myself a small budget to hire a skeleton cast and crew in Paris. My plan was to shoot 12 locations in two days, but I found it the best kind of challenge: daunting and exciting at the same time. I have a network in Saigon and Los Angeles, but now I was starting preproduction while still at home in Los Angeles and I did not have a network of professionals in Paris. How would I find my crew? How would I find my cast of four actors if Paris didn’t have a database like Actors Access service and I didn’t know a casting agent there? A friend in L.A. connected me to Myriam Heith, a young French actress, who I cast as one of the leads. Myriam also sent out a casting notice to all of her actor friends, which resulted in me finding the male lead. The rest of the casting was done by watching more than 30 French short films on YouTube and keeping an eye out for talent. Two actors caught my attention this way, so I sent them Facebook messages expressing my desire to work with them and they jumped on board with enthusiasm. You need team players when doing a run-and-gun shoot, and that means finding actors who won’t fuss about hair and makeup or freezing conditions. You don’t have time to discuss character motivations during a two-day shoot, so rehearsing beforehand is essential. When I shot my first feature, Owl and the Sparrow, I held rehearsals in the small lobby of the hotel where I always stay in Saigon’s backpacker district. In Paris, we rented a meeting room in a workspace café for a few hours to run through the scenes. The actors brought their wardrobe for their scene changes and the assistant directors diligently made continuity notes. We lugged their clothes around in a suitcase during company moves. It’s practically impossible to shoot in most establishments without paying the proprietors, but in Saigon, with its myriad of mom-and-pop stores, I discovered that being very polite and buying a few items might get you 45 minutes of shooting time in a small shop. I applied the same technique in Paris with a wine shop my cousin frequented and a crèpe stand in Pigalle. The only location that still wasn’t secured was the small apartment of an art student, but at the last minute, through Craigslist, we found someone willing to loan us her art studio. A woman wearing sunglasses and holding a cat gave us two hours to shoot an intimate scene, and we made our first day with a sense of relief. Day Two started with a two-camera walk-and-talk scene in Montmartre. Some elements of guerrilla shooting are beyond your control, and one of those is weather. Shooting in L.A, with its sun-kissed climate, is as consistent as can be. In tropical Vietnam, you brace yourself for sudden downpours and wait it out with your crew in a café. During our walk-and-talk scene, we were hit with freezing temperatures, rain and wind, and had to stop in the middle of takes and reset because wind tunnels in the narrow streets made our audio unusable. If that wasn’t challenging enough, I made the mistake of staging the scene in the middle of a street that cars would be darting down, forcing us to cut and reset yet again. Next we had to tackle a one-page dialogue scene with four characters on the steps of the insanely busy Sacre Coeur cathedral. I gave myself two hours to grab eight set-ups. Tourists were coming and going in the background, giving the scene atmosphere, but with a camera tripod, a boom and actors emoting, we were hardly inconspicuous. After shooting for an hour, a public official approached and asked, “Avez-vous l’autorisation?” I replied, “Non. On a besoin d’un permit ici?” (“Do we need a permit here?”) If this had been in Vietnam, I would have offered him $20 US and he would have gone on his way, but this was a French public servant and I was afraid he might confiscate our gear if I tried lining his pocket with a paltry 20 euros. So the best option was to politely ask for five minutes to finish the last set-up, which he allowed us before taking down my name. We continued on like a small band of soldiers and shot five more locations that night before wrapping. So, how difficult is it to capture the spirit of Truffaut with the digital tools of today? 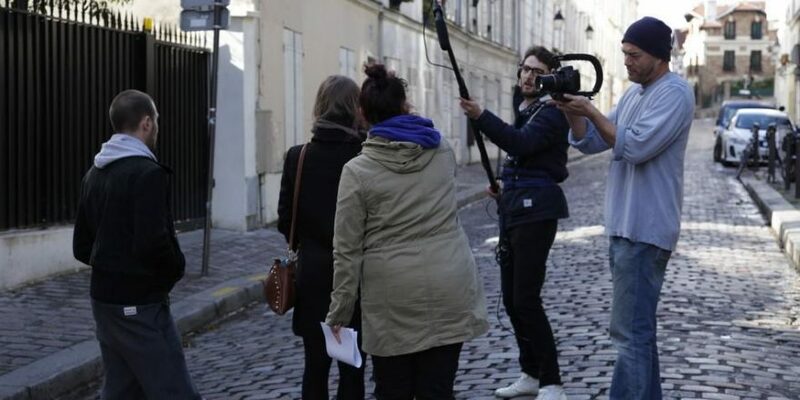 Shooting a no-budget production in Paris, a city with a dense population and freezing winter weather, certainly proved to be more challenging than in Vietnam or Los Angeles. After wrapping, we found that our wireless mics had failed us: we boomed everything with a shotgun mike in windy conditions without proper protection, so now I’m forced to “fix it in post.” As I write this, I’m prepping an ADR session our lead actress, Kaya, at an outdoor café, with her looping her scenes from my laptop. Was it worth it? Absolutely. We succeeded in paying homage to Nouvelle Vague cinema. With a little care and the right mix of preparation, minimal gear and stealth crew members, wherever you are you can get away with shooting without permits and bring your story to the screen.